With close proximity to Lake McDonald Lodge, wonderful views of Lake McDonald can be expected, but they also must be earned. Taking the Sperry Trail right from the Lake McDonald Lodge parking lot, you will work your way up the densely wooded forest where views are limited at best. After a little over 1.5 miles on that trail, the Mt. Brown Trail breaks off with an ominously steep slope. The steep grade of this hike rarely lets up over the next three miles until you reach the very top. Views are intermittent, and – like most lookout hikes in the Park – get better as you gain elevation. 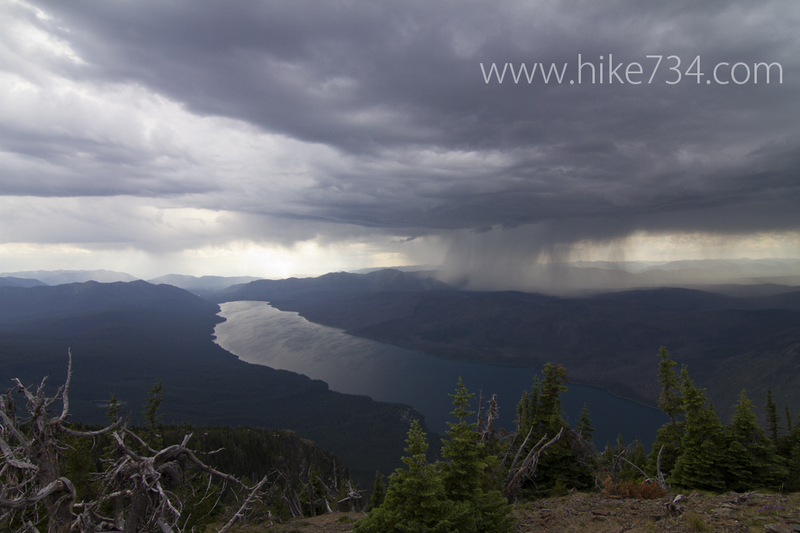 There is a wonderful stop halfway up the climb that looks up the Snyder Creek drainage, and another at approximately 3/4 of the way up the climb that looks down on Lake McDonald and on up the McDonald Creek drainage. From there, the trees become shorter and thin out until you reach a grassy ridge with wonderful views of the surrounding mountains including the rest of Mt. Brown (the lookout is not at the summit of the mountain).